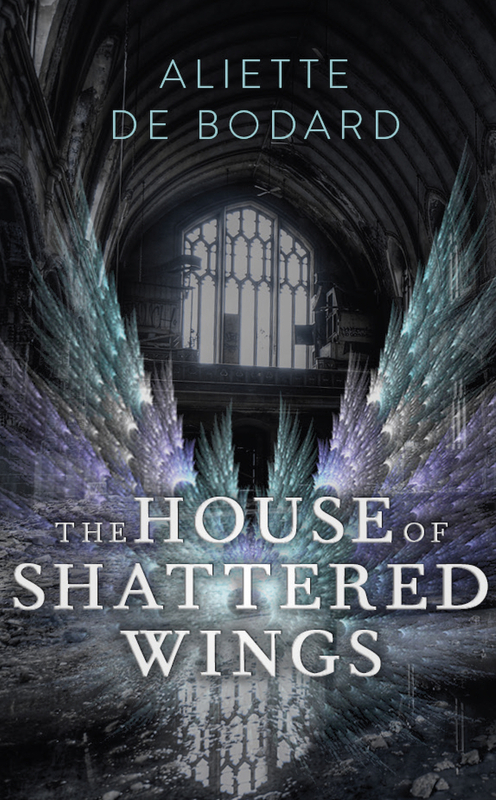 In March we saw the US cover for Aliette de Bodard’s upcoming novel, “The House of Shattered Wings”; in the meantime the UK cover has surfaced as well. Gollancz, the UK publisher, goes for another approach, more subtle, but no less interesting. The reference to the title can be fully glimpsed through the wings occupying the center of the cover, while their crystal like appearance leads the thought to a highly valued item, but also fragile and easily breakable. Paris being on ruins, following the Great Houses War, can be guessed by the aspect of Notre-Dame’s interior, the walls cracked here and there, graffiti written on them and the floor covered by water and debris. Now, from the synopsis we learn that Notre-Dame is actually a burnt-out shell, but this is clearer on the US cover rather than the UK one. I am not here to complain though, so I don’t have any quarrel with the Gollancz’s approach for their cover. As a matter of fact, I am not even sure which edition of Aliette de Bodard’s “The House of Shattered Wings” I would like to have on my bookshelves. Of course, I would love both of them, but due to a couple of impediments fulfilling that wish is far-fetched. But no matter the final choice, I will definitely have a copy of Aliette de Bodard’s novel on my personal library. Here is also some of the early praise “The House of the Shattered Wings” is gathering. “A superb murder mystery, on an epic scale, set against the fall out – literally – of a war in Heaven. Within the House, three very different people must come together: a naive but powerful Fallen, an alchemist with a self-destructive addiction, and a resentful young man wielding spells from the Far East. They may be Silverspires’ salvation. They may be the architects of its last, irreversible fall…"